Hyaluronic Acid is a naturally occurring polysaccharide (sugar) found in every part of the body and is the main component of mammalian connective tissues. Approximately 50% of hyaluronic acid found within the human body is in the skin. It is also plentiful in the fluid of the eyes and in joints, where it operates as a lubricant and a shock absorber. Its make up enables it to hold up to a thousand times its weight in water making it a necessary component of the skins natural moisturizing functions. As such Hyaluronic Acid is quickly becoming the most widely used and preferred dermal filler on the market today. There are many different makes of filler e.g. Restylane, Juvederm, Teosyal.All are used to reduce lines and wrinkles.Fillers last between 6-9 months depending on the area treated and the rate at which it is broken down. When injected into the skin it replenishes the bodies own natural stocks of Hyaluronic Acid. It works at a deep dermal level to stimulate the production of collagen and improve the skins elasticity, softening the appearance of facial lines and restoring youthful volume and shape to the face. 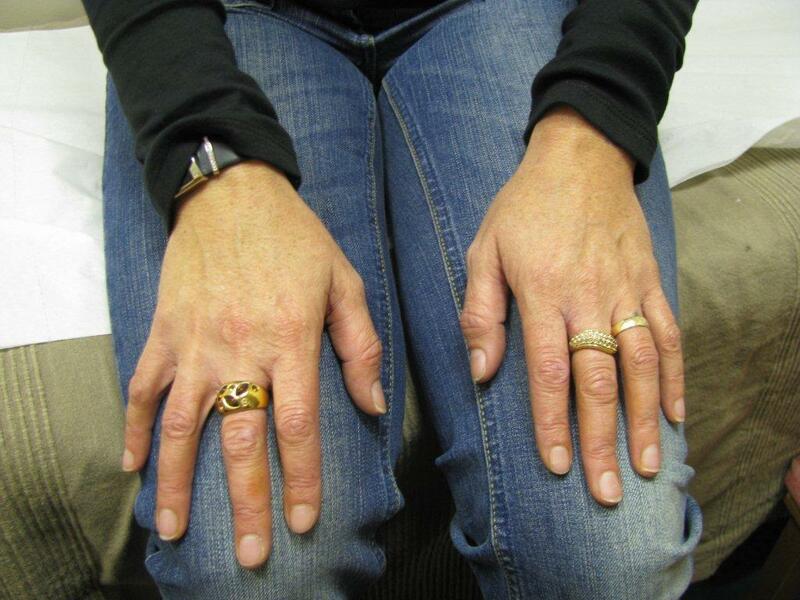 The procedure is quick and the results can be seen immediately. The benefits are long lasting but not permanent. The most common lines treated are ‘smile lines’ (running from the side of the nose to the corner of the mouth),’frown lines'(between the eyebrows), ‘marionette lines’ (downwards lines at the corner of the mouth),’smokers lines'(vertical lines on the top lip), ‘worry lines’ (across the forehead).They are also used to fill and define the lips. Sometimes deep lines can be difficult to improve with one treatment, some improvement will be noticed but further treatments may be needed to get an optimum result. What are the signs that betray a woman’s age? They are her hands, neck and décolleté, the areas exposed everyday to sunlight and that are neglected in everyday skincare regimes. As we get older, our skin loses its natural elasticity and volume. 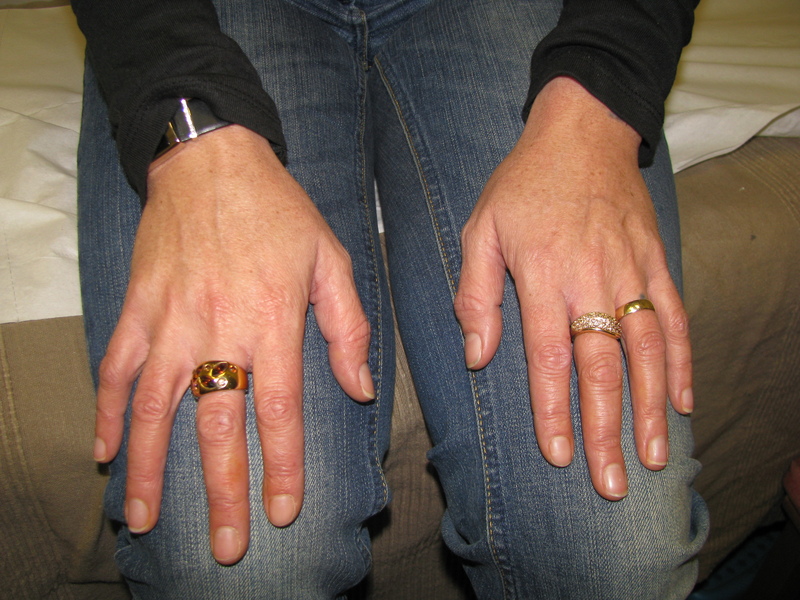 Brown spots and wrinkles appear, particularly on the vulnerable areas of neck, hands and décolleté where skin is naturally thinner anyway, more exposed and less taken care of than the face,” .When the main focus is to plump up boney looking hands a series of Restylane’s Vital or Teosysal Meso treatments are the best way to acquire more youthful hands. This involves a series of multiple tiny injections which push moisturising ingredients back into the skin, plumping it up from within and encouraging the formation of new collagen. The same filler can be used on the décolleté neck and face.